Given the clear and concise agenda of Islamic Jihad to destroy Israel and establish [by force] a global caliphate, has undoubtedly demanded the actions of civilized governments to protect its citizenry liberties and freedoms. 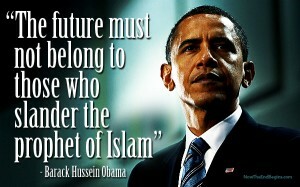 Regrettably, President Barack Obama is either, extremely enamored with the institution of Islam, which has caused him to become severely delusional to their interests and objective, or he is one of the most clever members of an Islamic sleeper cell that has ever existed in the history of espionage that has breached the highest office of the U.S. Government. 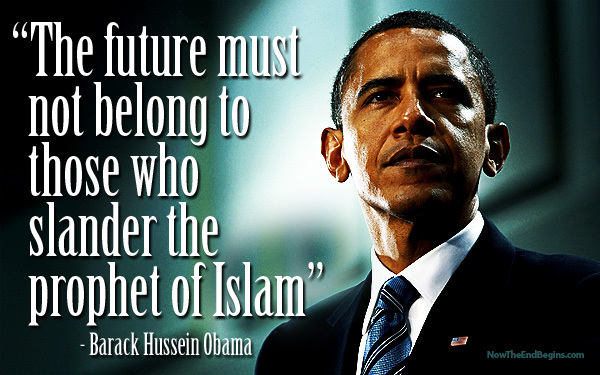 President Barack Obama has claimed to be a Christian, nonetheless, his bizarre sympathy and obsession with Islam, is at best physically dangerous for American citizens and not to mention Islam’s long-term plan of conquering the U.S. and bringing it under the captivity of Sharia Law. We can attempt to ignore the obvious truth and shroud it with humanitarian initiatives and purported good deeds, but the twisted evils of mans heart will manifest beyond the cloak of concealment. BEWARE of masking the truth, doing so is at our own peril. God have mercy.